Remote Desktop Manager 8.0 is Finally HERE! The big day has finally arrived! Today we’re proud to officially launch Remote Desktop Manager 8.0. You can download it right now at https://remotedesktopmanager.com. First of all, we’d like to thank everyone who has worked with us on this new version of RDM – especially, of course, YOU! Many of you helped us during beta testing and shared constructive suggestions and comments. You helped us understand, in a concrete and practical way, how you work with RDM. It’s because of you that we feel (if we do say so ourselves!) that RDM 8.0 is the best remote desktop, password management, and credentials management tool on the market. Plus, we’d sincerely like to thank our experts and partners from around the world, who’ve been working with us for several years now and shared their input and suggestions. RDM 8.0 is a major update, and it took us months to design the new UI (again, with plenty of help from our great RDM users like you!). Our goal was to make the UI as simple as possible, but without sacrificing functionality. We also wanted to help you improve productivity, which is why we optimized the UI to provide even more workspace. Plus, customization was also a top priority. Just like you, we work many different tools, and we know how frustrating it is when you can’t do what you want to do, in the way that you want to do it! 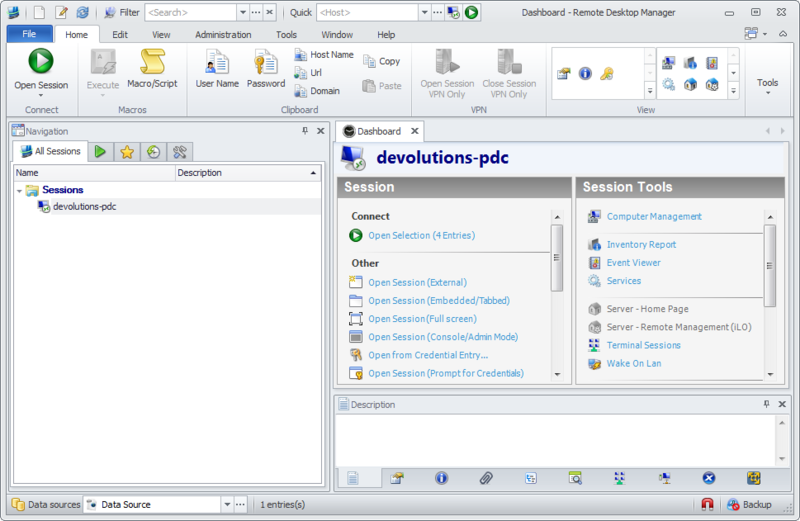 Now, you can use RDM 8.0’s great new docking feature and customize the UI to fit your needs. Over the years, we’ve learned that the best way to help our valued users like you is to deliver solutions that simplify your life. We aren’t here to “revolutionize” everything you already know about remote desktop technologies, password management or credentials management. Instead, our goal is to give you a robust platform that’s easy-to-use, at your service (instead of the other way around! ), secure, flexible and intelligent. So in other words, we don’t tell you how to work with remote connections. Instead, we LISTEN TO YOU and deliver the solutions that you tell us you need. That’s what our products are all about, and RDM 8.0 reflects this vision on a whole new level. It took over a year to come together, but the hard work is worth it if it means we’ve made your life simpler, easier and more productive. Curious to see how RDM has looked over the years? Click here ! Arrow_Left_MediumGreat news for RDM users worldwide!